Hi everyone! Long time no food blog post right?! 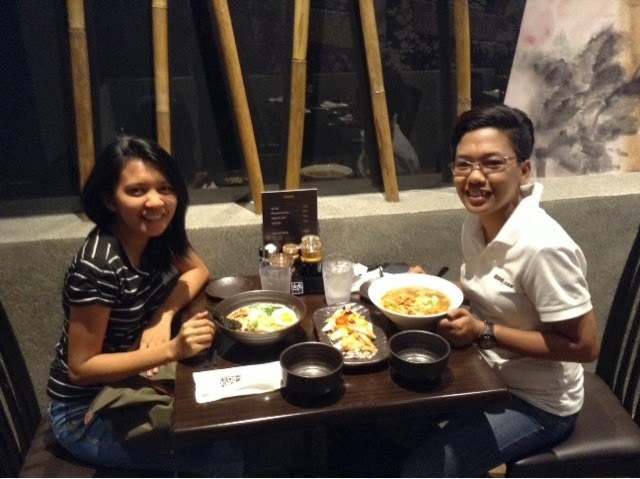 Anyways, i just got home from Glorietta 5 as me and my eldest sister went to dine in at Kichitora of Tokyo located beside Yabu. 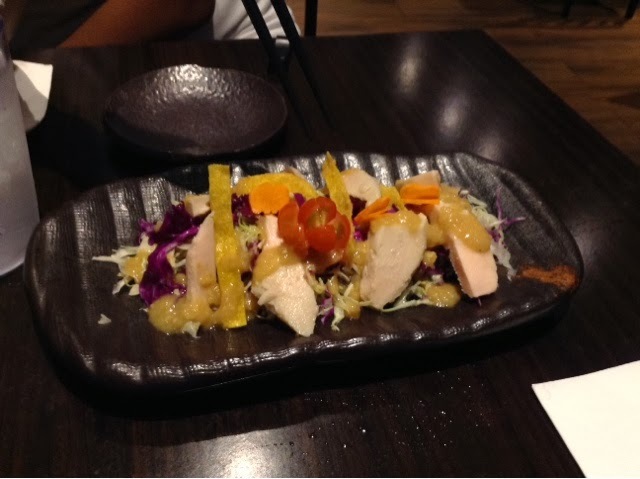 Both restaurant specializes with Japanes cuisine. The menu of Kichitora of Tokyo values from 325-425 for ramens. Gyoza, the most common pair for ramen is only 150pesos for six pieces but its not availble so we weren't able to purchase. The price for beverage however is from 70pesos to 90pesos. I can't tell the definite name of the dishes we ordered so my sincere apologies. This one is a garden salad and i do like this one because it can act as "pantanggal-umay". This sells for 290pesos if i'm not mistaken. 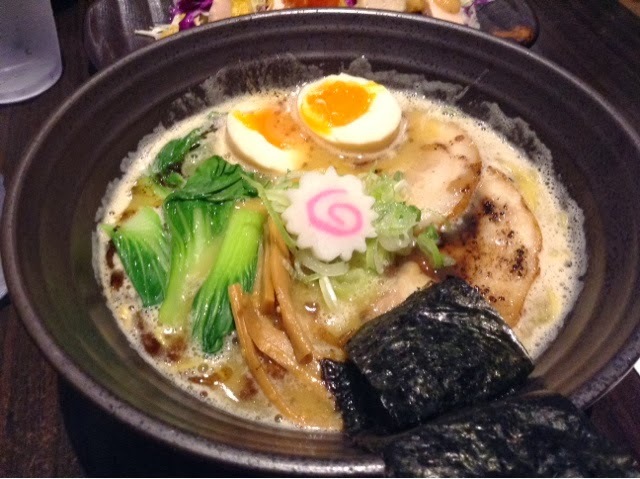 I ordered this ramen which is the best seller of the restaurant. It sells for 425pesos but the serving is good for 2. This appeals more for those who loves seafood style or salty yet tasteful type of ramens. 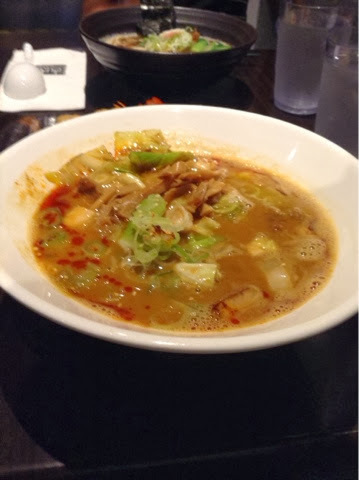 My sister ordered the spicy ramen one which is the only hot spicy variant ramen of the store. Youcan easily recognize this because it appears orange. This is for 375pesos i believe and just the same it is good for 2 serving. This is good for those who want spicy but not the overpowering one. The soup is very delicious. 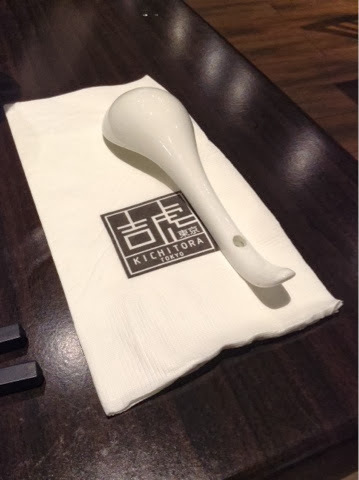 Overall, my Kichitora of Tokyo experience is good. I am in love with the ambiance of the store. The quality of service is good in a way that our order cam faster than i expected. The price is ok considering the fact that it has big serving. The soup is thick while the noodles they used are cooked to perfection. Hopefully next time i dine in Gyoza is already available.